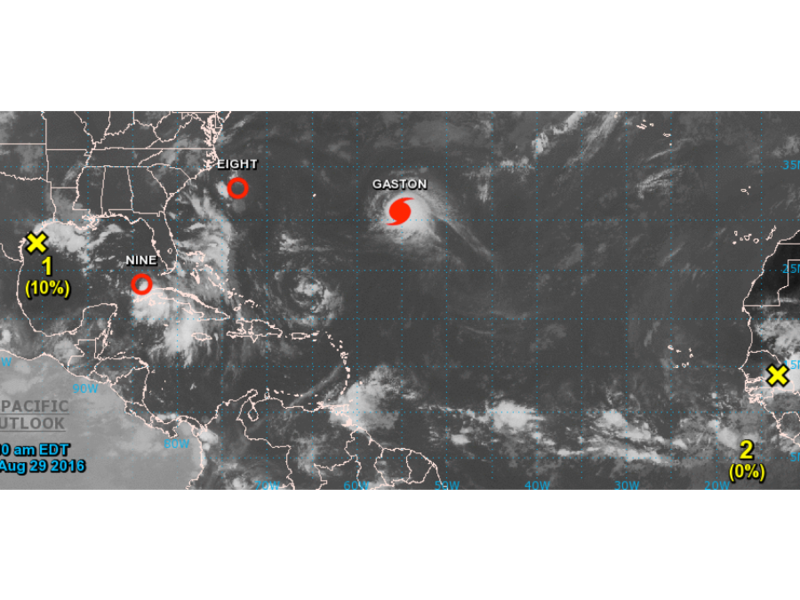 Hurricane Gaston became the season's first major hurricane as tropical depressions eight and nine formed over the weekend. In addition to the three formed systems, the National Hurricane Center is also watching two other disturbances — one off the coast of Texas and another on the coast of Africa. Normally, a category three hurricane like Gaston would get all the attention, but since it's expected to continue spinning in the Atlantic without affecting any land, that storm will likely go mostly unnoticed. That's because Florida and the East Coast of the United States are keeping a close eye on tropical depression nine and eight. Both systems are expected to reach tropical storm status by Tuesday, which means there's a race for the next names on the list — Hermine and Ian. 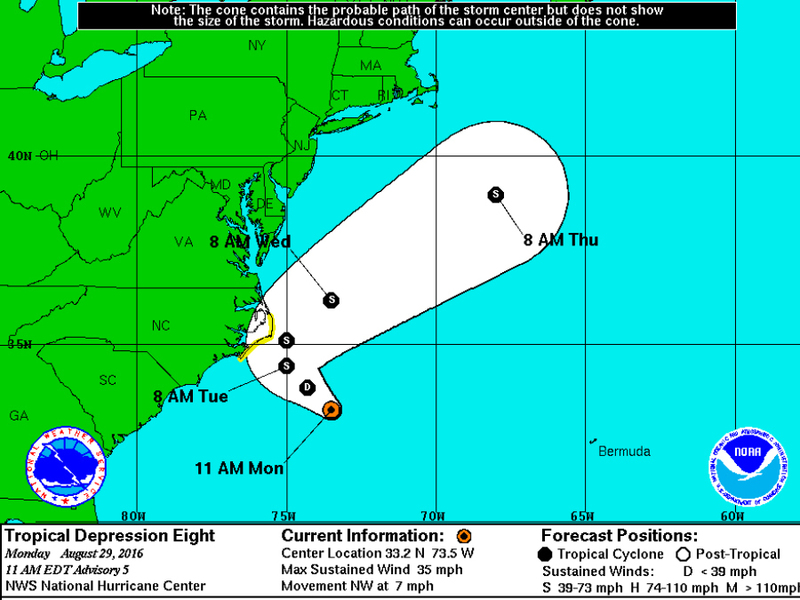 No matter what they're called, the current tropical depression eight is most likely to bring some heavy rain and strong winds to the North Carolina as the entire system skirts the state late on Tuesday. 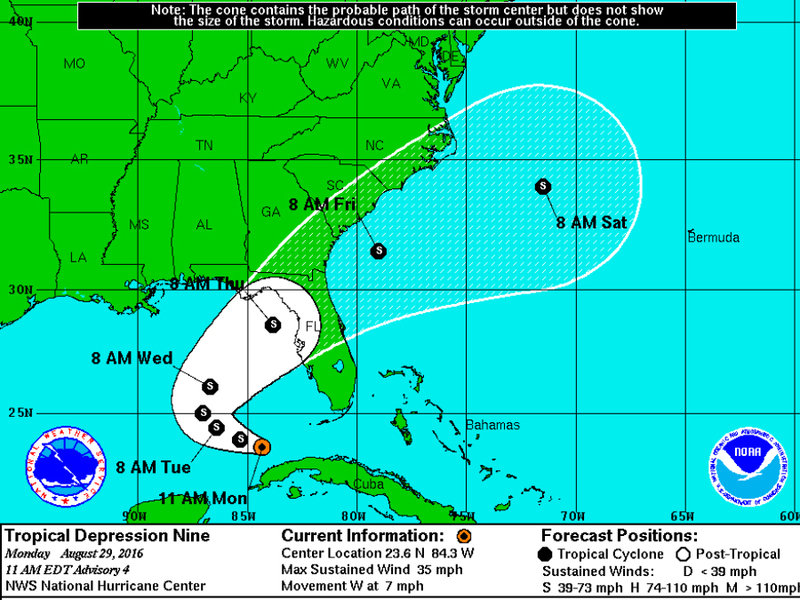 Tropical depression nine will likely have more of an impact on the U.S., making landfall in northern Florida late on Thursday as a tropical storm. Everyone from Tampa to Panama City is watching this storm, and it could be the second tropical storm to hit northern Florida this year. The other disturbance in the Gulf of Mexico won't likely grow, but heavy rains are forecasted for the Texas and Louisiana coasts. The second system just now blowing off the coast of Africa is still in its infancy, but it could become something bigger over Labor Day weekend. All of this activity in the Atlantic is bustling on the 11th anniversary of Hurricane Katrina's landfall.